In the past few years, a few articles have been published on the solid-phase synthesis of pyridazine derivatives. These methods apply to intermediates weakly bound to polymers, as a result of which the ester bond is cleaved easily, either during ring closure or right after it. There are few polymer-supported syntheses of heterocycles. 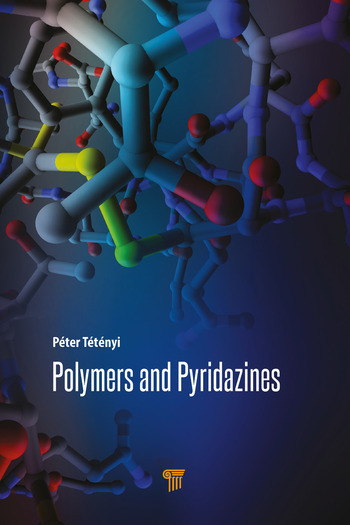 This book, Polymers and Pyridazines, discusses a new strategy for polymer-supported synthesis of pyridazine derivatives with much higher reaction rates, applying higher loading and much wider reaction conditions due to the more stable attachment. On the basis of the research conducted, a fundamental break-through was achieved in solid-phase heterocyclic chemistry. The experiments are accompanied by colored drawings and 3D diagrams to help understand the importance of swelling and/or excess concentrations of reagents. Detailed experiments provide complete procedures with infrared difference spectra. The book will be a helpful reference for academy polymer specialists and postgraduate students studying polymer syntheses of general substrates. Péter Tétényi is assistant professor at the Department of Organic Chemistry, Semmelweis University, Hungary, since 1998.